Free shipping with $73.84 purchase from ItBeganInParis. See item details below for sale terms. Bring that summertime happy vibe to your home EVEN IF you live in Alaska! 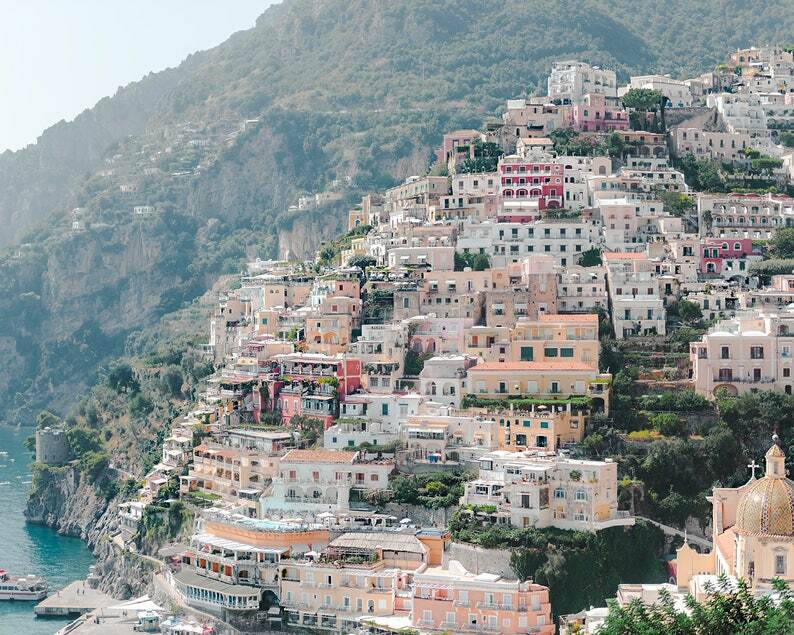 With this unique fine art print of Positano Beach in the Amalfi Coast. It can be printed on museum quality photographic paper. Be individual. Be exclusive. Buy It Began in Paris! Your satisfaction is guaranteed! Please do not hesitate to contact me if you have a question about sizing. Custom size requests are also welcomed. Free Domestic and International Standard Tracked Shipping on all orders over AU$100 (or local currency equivalent). Amazing experience... ordered over Christmas withthe idea to add to a wall of my new place... such a great experience and so lovely to deal with Pamela! I am recommending her store to everyone! All prints are made to order and will be ready for shipping in 1-3 business days. What Print Finishes do you use? Unless otherwise stated in the listing, I print on a matt/ lustre paper to give a classic finish with clean whites, rich blacks and realistic colour. If you would prefer a glossy finish to you photograph, I will happily accomodate. You can detail this preference in the 'notes to seller' section when you purchase, or email me at the time of purchase. Any blur or texture in the images is intentional. How are your Prints Packaged for safe delivery? All photographs are shipped inside a rigid mailer or rolled and shipped in heavy duty tubes. Depending on your location, all prints 11*14 and larger are shipped in tubes to avoid any issues with bending when being delivered. Yes. All images used in this shop have been taken and processed by me and are subject to copyright © Pamela Burns Photography. Do the images come framed? No, all images come un-matted and un-framed unless otherwise stated in the individual listing. All prints are printed in Australia and ready for shipping in 1-3 business days. Prints are shipped to the US in 2-7 business days. Prints are shipped via Australia Post with tracking and delivered in 7-10 business days.